This is a guest post from Beth Feldman, awesome blogger and founder of RoleMommy.com. As an avid traveler and lover of amazing places and deals we can share with your our readers, we are thrilled to be working with Villa Group Resorts as we help spread the word about their gorgeous resort properties in Cabo San Lucas, Puerto Vallarta and Nuevo Vallarta and coming soon...Cancun and Loreto Mexico! Offering families, couples and singles incredible and affordable getaway options throughout the year, this season, Villa Group has introduced ultra-inclusive vacations that include dining and beverages, a kids club, babysitting options, spa packages, golf getaways, dolphin excursions, water sports and much more! Having stayed at Villa la Estancia in Nuevo Vallarta, I immediately felt like I was being welcomed into the lap of luxury - receiving a hand massage the moment we walked into the lobby. We stayed in a two bedroom suite complete with marble floors, private bathrooms, cozy living room, dining room, massive kitchen and sweeping balcony with a wet bar...can anyone say...margaritas? While I'm culinary challenged (no need to cook since there are fabulous restaurants on the premises including the award-winning La Casona), it's great knowing that while we're on vacation, we can store refrigerated snacks, drinks, and breakfast items if we want to sleep in and the kids are in the mood for cereal and cartoons. And the granite countertops, state of the art appliances and sweeping views of the ocean and pool and bathrooms to die for, are not so shabby either! As you contemplate where you'd like to go for your next vacation, the Villa Group Affiliate Travel Network, comprised of nearly two dozen dynamic parenting and lifestyle bloggers, will offer a series of helpful articles that will give you the inside track on all things Mexico. For our first post, we're tackling important questions that most travelers ask when they travel to Mexico. Hopefully, this will help guide you as you plan your next vacation! Q. Is it safe to drink the water in Puerto Vallarta and Cabo San Lucas? A. In Puerto Vallarta, you should be aware that incredible efforts have been made to provide safe water to residents and tourists. Over the last two decades, the Mexican government spent millions of dollars developing a safe water purification system in the area. As a result, this state of the art system has greatly reduced water-induced illnesses for travelers visiting Puerto Vallarta. "Sitting at the bottom of the Baja Peninsula, the fresh water in Los Cabos is some of the best in Baja. The local waters start thousands of feet above Los Cabos in the very tall mountains north of Cabo, drain down into local aquifers, and then are treated locally and then often treated again at the hotel or restaurant level. Tourism is just too important to let bad water become a factor." Q. Is it safe to travel to Cabo and Puerto Vallarta? Where are the dangerous parts of Mexico anyway? A. According to AOL, which recently devoted extensive coverage to Mexico and issues relating to safety and even gives an overview of the places you should avoid, you'll take comfort knowing that both Puerto Vallarta and Cabo San Lucas were ranked as being incredibly safe for travelers. As a precaution, always avoid streets that are not well lit (as you would in any country), but for the most part, your experience should be safe, relaxing and enjoyable! Q. Are there any safety tips you can offer to a traveler who has never been to Mexico? A. When you arrive at the airport, make sure you have made provisions for yourself and your traveling companions to take you to your accommodations. There will be many individuals offering you a ride or claiming to be your driver - while they are friendly and it is safe to ride with them, you will be better served if you book a car in advance. If you decide to leave your resort and travel to a location in the evening, make sure when you are walking at night that you are aware of your surroundings and that you traverse well lit streets. Or, arrange for a car to pick you up after your evening is over. Better to have someone waiting for you to take you back to your hotel then go off exploring in the middle of the night! Take precautions while swimming, snorkeling or surfing! The surf can be rough - especially in Cabo San Lucas and if you are not a strong swimmer, you may want to take precautions. Or, book an excursion that will take you on a guided water tour with experienced lifeguards on board. Q. What about taking a road trip - is it better to book a tour or can I go on my own and explore? A. While you can certainly rent a vehicle and explore Puerto Vallarta and Cabo San Lucas on your own, your experienced will definitely be enhanced if you register for a tour that is led by someone who truly knows the lay of the land and the water! While it's always nice to discover new things, you can accomplish that by being a part of a guided tour and traveling with a group of vacationers like you. Of course, if you've been to either resort town many times, then you may feel more comfortable venturing out and returning to a favorite destination - suddenly you'll be the expert offering tips to new travelers. But if it's your first time, we suggest consulting with your hotel concierge who can offer some great tour options for you and your family. Q. Are there parts of Mexico we should avoid due to the BP Oil Spill? A. Here's a quick geography lesson: The BP oil spill is nowhere near Cabo San Lucas and Puerto Vallarta. While the spill has contaminated many US cities located near the Gulf of Mexico, Cabo San Lucas and Puerto Vallarta are located on the west coast surrounding the Sea of Cortez. While travelers may believe that Mexico might have been affected by the recent environmental disaster, the hardest hit regions have been in the United States. If you're interested in finding out how you can book an unforgettable vacation in Mexico, visit Villa Group Resorts and check out their hot deals page - where they've got some incredible vacation options this summer - plus the offers run through December 2010 so you can book now and still save on your vacation! 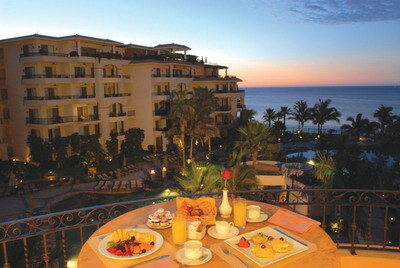 And, there's still time to enter the She Knows ultra inclusive trip giveaway to Puerto Vallarta. Enter today and you and a guest could win an all expenses paid vacation at Villa La Estancia...Arriba!! !